Waking up in the morning only to find your car won't start is immensely frustrating. This post will tell you some of the potential issues and includes a video explaining how you might be able to get it running again. These solutions usually take a few minutes and range from being simple to requiring a professional. Contact us if none of these methods work or if you are uncomfortable attempting them. Cars that won't start usually fall into two general categories. Group 1: The engine won't crank. Group 2: The engine cranks but won't start. We'll examine Group 1 first. If the engine won't crank at all, then there is usually something wrong with the electrical system. There are a number of components that could be causing the problem. If your vehicle's battery has little or no charge left, the vehicle will not start, as it does not have enough power to draw on. This may be a simple, temporary problem caused by leaving too many electrical components, such as lights or the radio, running with the car stopped. In this case, probably a battery boost will be all that you need. If you or your friendly neighbour have jumper cables, you will probably be able to get the vehicle started. However, if the battery is old and weak, you may have to invest in a new battery. Make sure that you check that the wire connections are clean and good - especially on the battery terminals. If the battery terminals are covered in corrosion then your starting motor may not be getting enough power. Clean the terminals with baking soda mixed with water and a wire brush, then try to start the car again. Another common problem can be found in the starter motor itself. The starter motor also has a solenoid inside that can become defective. If you can reach the starter motor, try hitting it with a hammer. Sometimes that will improve the connections and allow you to start the vehicle. If you succeed, take the vehicle to a recognized auto repair facility immediately as you will have to replace the starter. Modern car keys often have security codes that match to the specific vehicle. However, like most computer programs, these can suffer from bugs and glitches in the software. This might leave you without the ability to start your vehicle. A professional auto technician will be required to solve the problem. In this group of problems, the battery and electrical systems are probably not at fault. Once again, there are a number of components that could be causing the problem. Did you forget to keep an eye on the gas gauge? Take a quick look as this may be the only reason the car is not starting. If so, find a family member or hitch a ride to the nearest gas station with your friendly neighbour. Don't forget to bring a gas can with you - unless you want to buy one of those too! If you have made the previous mistake once too often, you may find that your issue is a damaged fuel pump. Gasoline acts as a cooling agent for the fuel pump, so when you allow your car to run too empty, it means that your fuel pump overheats and runs the risk of permanent damage. Your auto technician can quickly replace the fuel pump if that is the issue. Your fuel filter is responsible for filtering out dirt and debris. If it is not replaced at regular intervals it can clog the fuel line, meaning no fuel reaches the motor. This, of course, will prevent the car from starting. Make sure that you stick to your car's regular maintenance schedule. Without a spark, there is no fire! If your spark plugs are old or damaged they may not provide the spark necessary to ignite the fuel in the piston chamber. If this is the case, the car will not start. Changing spark plugs is also part of a regular maintenance program. We believe in keeping you and your passengers safe. Don't take risks with vehicle safety, take advantage of our professional touch and contact us immediately if you have any concerns regarding your vehicle. Ask us about our free shuttle service. 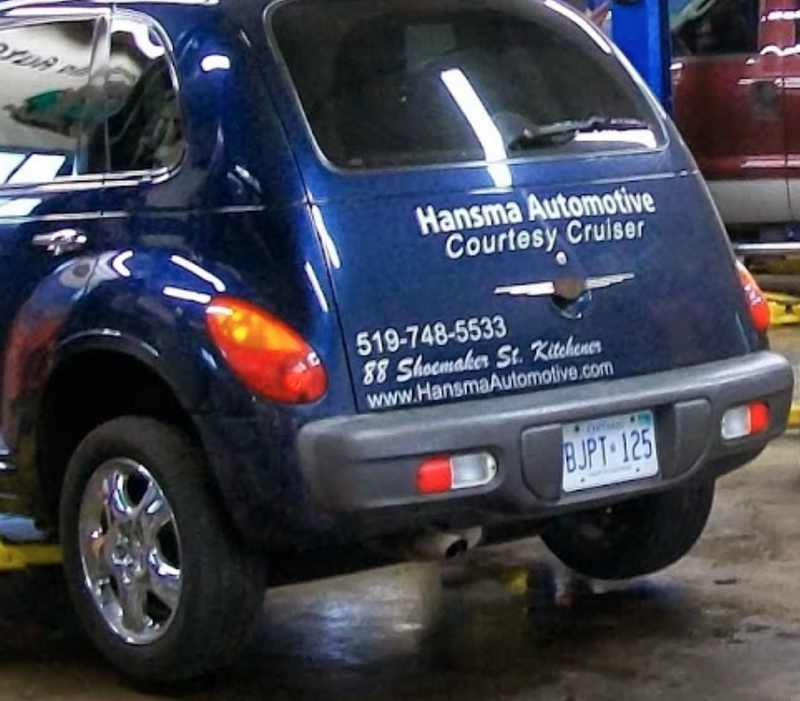 We are located at 88 Shoemaker Street in Kitchener and can usually repair your vehicle in a few hours or less. Posted on June 27, 2016 by Hansma Automotive..